Watch developed based on Ferrari: HUBOLT MP-05 "LaFerrari"
MP-05 LaFerrari Watch was released by Hublot right after unveiling "LaFerrai" at the Geneva Motor Show. 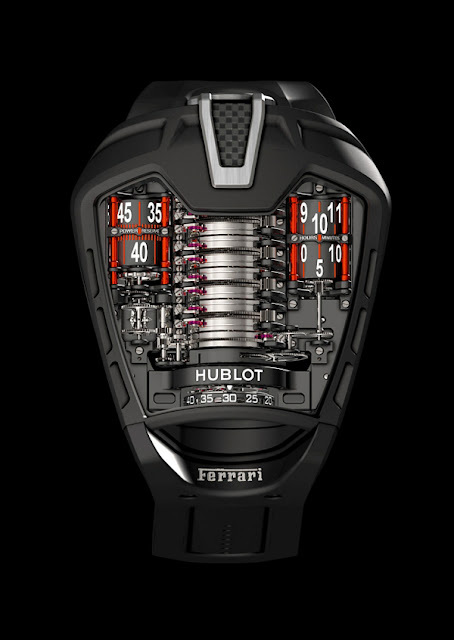 This watch represents a very special series, entirely designed and developed by the Hublot Manufacture engineers and watchmakers in tribute to "LaFerrari". 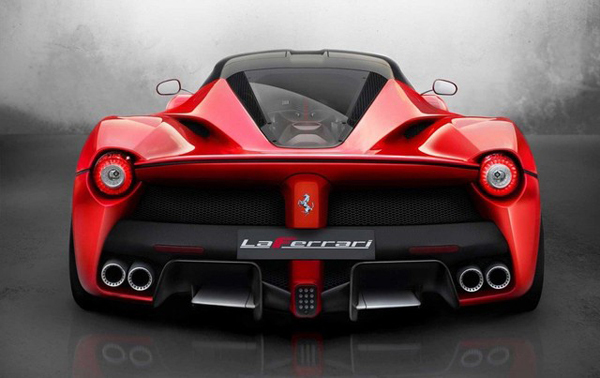 Both watch and car are developed in parallel alongside the Ferrari teams. They share a number of common points. Albe to boast no fewer than 637 components for the movement, which is also equipped with a Tourbillion, as well as a power reserve of approximately 50 days thanks to its 11 barrels, arranged in a line just like a spinal column and interconnected so that they do not each discharge in turn but support each other, this watch is closer to being a concept watch. Its looks amazing on your writs but bad news is its a limited edition timepiece. Its priced at 3,00,000 Swiss Francs ( $322000). The watch is finely wrought in terms of shape, featuring a complex shaped sapphire crystal clearly reminiscent of the car’s outline, as well as an open case-back, and is made from black PVD titanium. 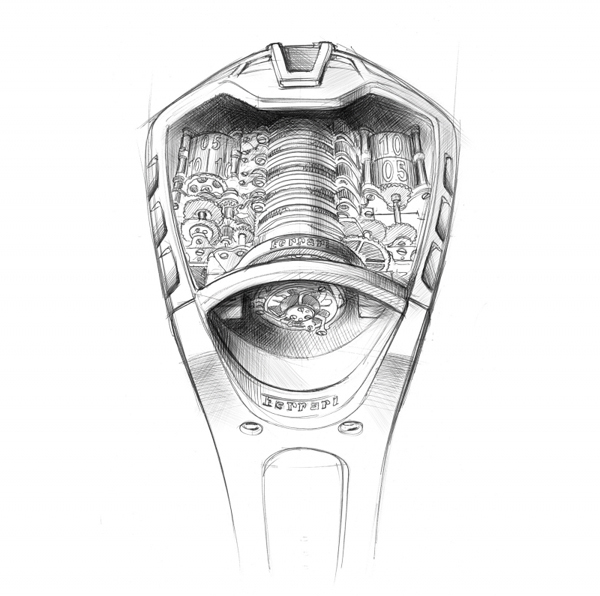 It is topped by a titanium and carbon insert in its center, revealing the winding crown. The time-setting crown is positioned under the case. The hour and minute are displayed to the right of the barrels, also indicated by means of one anodized black aluminum cylinder each. On their left is the cylinder indicating the power reserve. 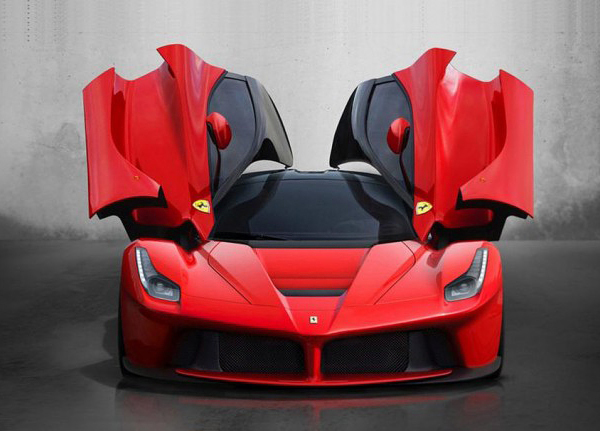 Reinforcing bars either side, made from anodized red aluminum, bring to mind Ferrari’s red signature. The desire for a truly exceptional watch has been extended to the design of the presentation case, made from Schedoni leather and carbon fiber, containing the specific tools for winding the watch, and whose design was also inspired by the world of motoring. Limited edition of 50 numbered pieces.